The city of Thessaloniki was founded in 315 BC by Cassander of Macedon. An important metropolis by the Roman period, Thessaloniki was the second largest and wealthiest city of the Byzantine Empire. 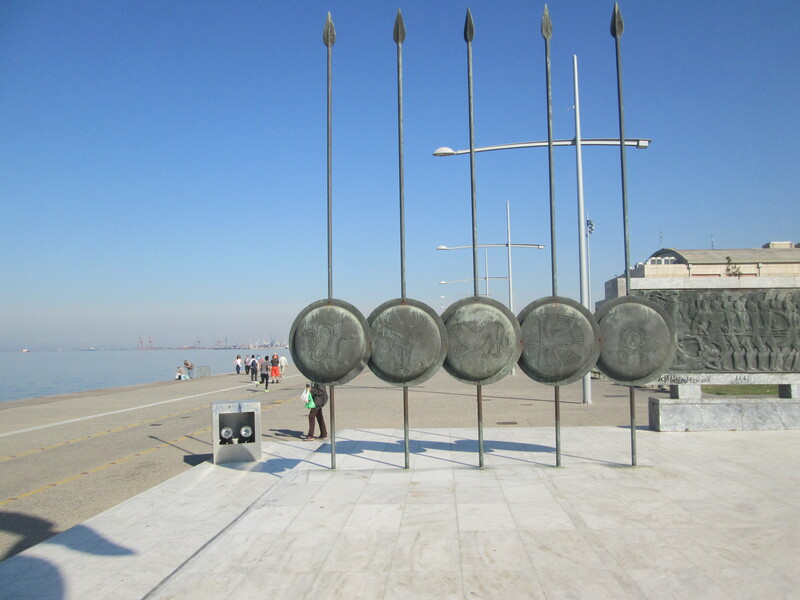 Thessaloniki is home to numerous notable Byzantine monuments, including the Paleochristian and Byzantine monuments of Thessaloniki, a UNESCO World Heritage Site, as well as several Roman, Ottoman and Sephardic Jewish structures. The city’s main university, Aristotle University, is the largest in Greece and the Balkans. Thessaloniki, is now the second-largest city in Greece and the capital of Greek Macedonia, the administrative region of Central Macedonia and the Decentralized Administration of Macedonia and Thrace. Thessaloniki is Greece’s second major economic, industrial, commercial and political centre, and a major transportation hub for the rest of southeastern Europe; its commercial port is also of great importance for Greece and the southeastern European hinterland. The city is renowned for its festivals, events and vibrant cultural life in general, and is considered to be Greece’s cultural capital. Events such as the Thessaloniki International Trade Fair and the Thessaloniki International Film Festival are held annually, while the city also hosts the largest bi-annual meeting of the Greek diaspora. 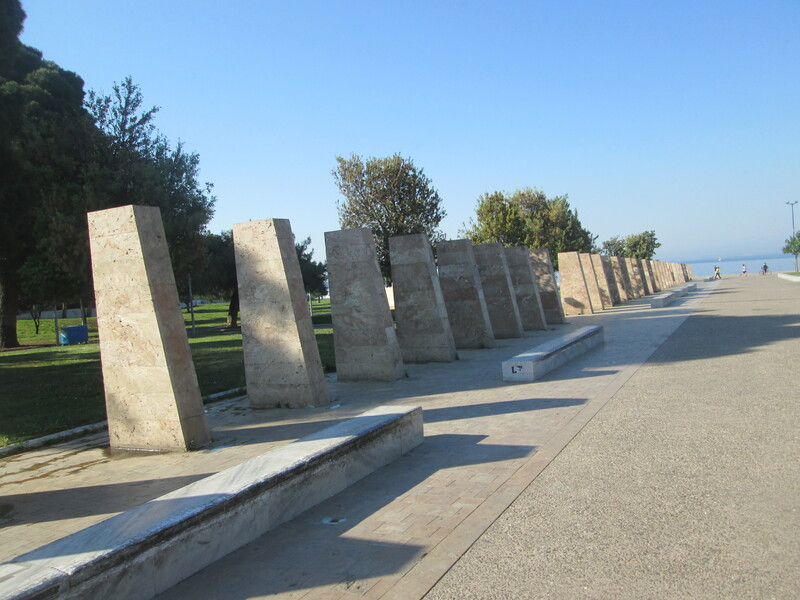 For the history of Thessaloniki, see the History section in Wikipedia. 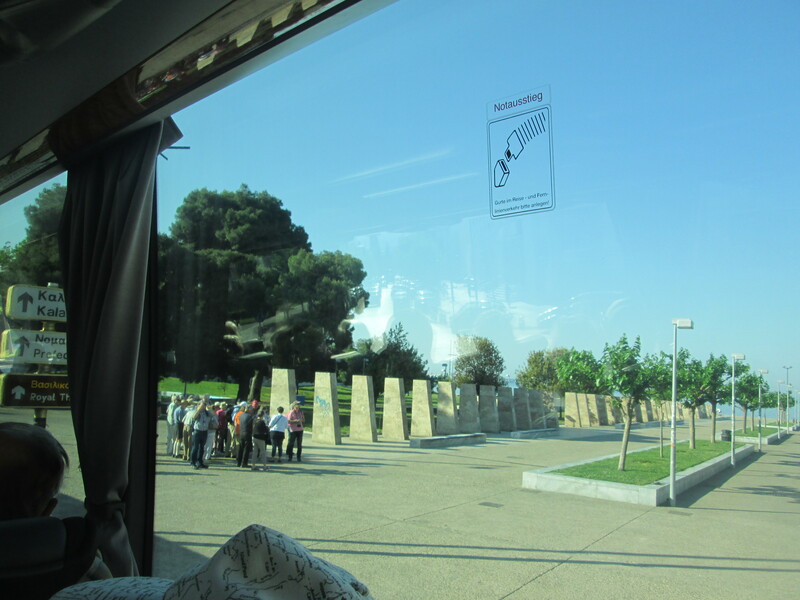 … The bus of our Colour Group arrived in at Thessaloniki …. …. The seaside park we stopped and walked through …. 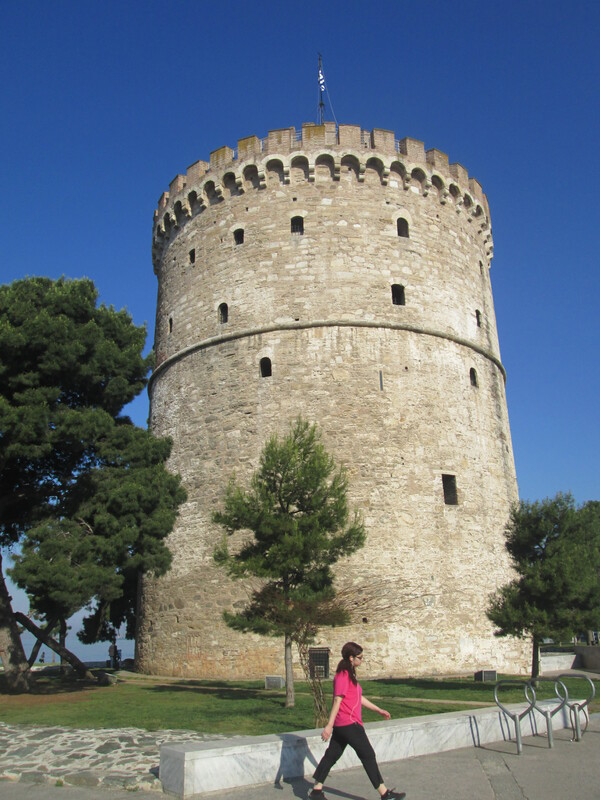 White Tower of Thessaloniki ….. The White Tower of Thessaloniki is a monument and museum on the waterfront of the city of Thessaloniki, capital of the region of Macedonia in northern Greece. The present tower replaced an old Byzantine fortification which was mentioned around the 12th century and reconstructed by the Ottomans to fortify the city’s harbour; it became a notorious prison and scene of mass executions during the period of Ottoman rule. It was substantially remodeled and its exterior was whitewashed after Greece gained control of the city in 1912. It has been adopted as the symbol of the city. The tower has been altered substantially over the decades. Early illustrations show that it was originally covered by a conical roof, like similar towers in the Yedikule Fortress and Rumelihisarı fortress in Istanbul. Until its demolition in 1917, a chemise stood at the foot of the tower, supporting the heavy guns and enclosing an area at least three times the diameter of the main tower. Octagonal turrets on the chemise and caponiers at ground level provided flanking fire around the tower. It is unclear whether the chemise was part of the original scheme for the tower or was a later addition. For the history of the White Tower, see the History section Wikipedia. …. after walking through the park, we came to the seaside paving with the city in the background …. … See Nea Paralia, Thessaloniki – YouTube …. …. 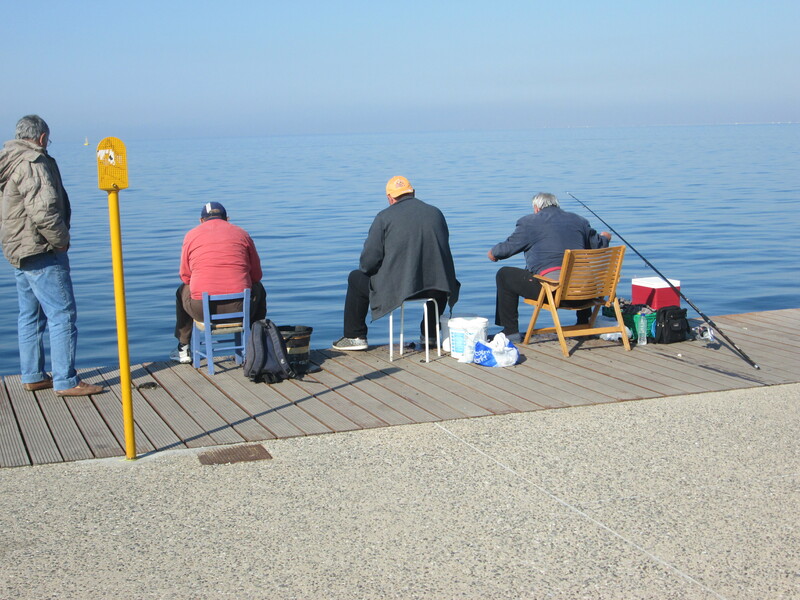 men quietly fishing off the timber boardwalk …. 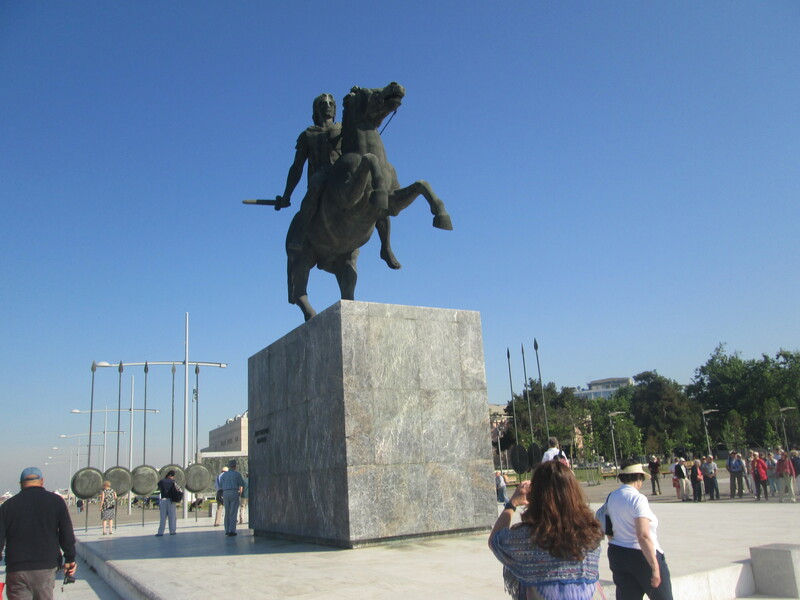 It is an impressive, six meters (20 ft.) tall monument that represents Alexander while riding his horse “Voukefalas” (Bucephalus), one of the most famous actual horses of antiquity. 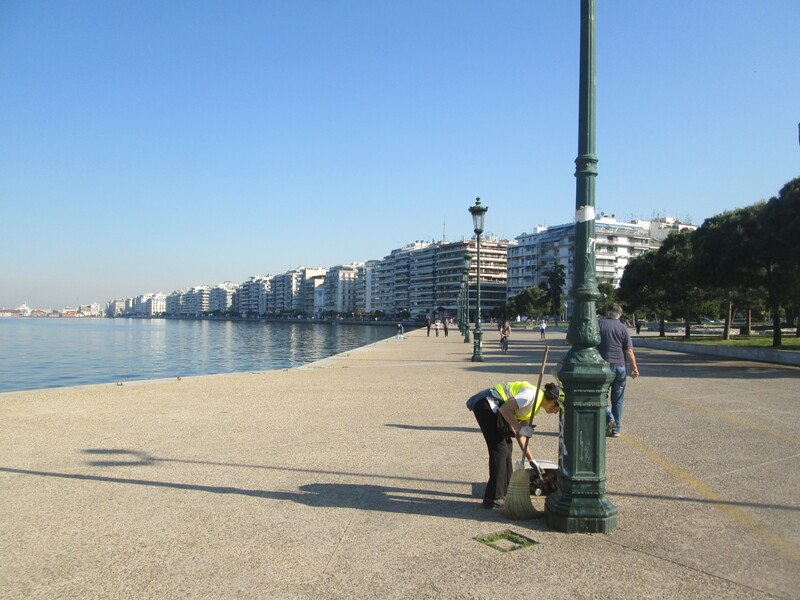 After an extended reconstruction that lasted two and a half years the entire waterfront area of Thessaloniki along with Nea Paralia transformed into a wonderful place, ideal for a relaxing walk, jogging or biking! …. 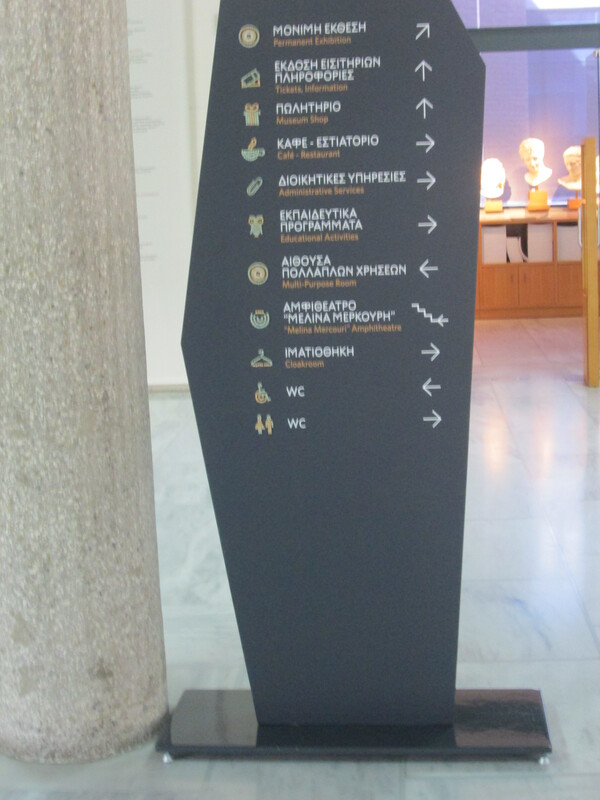 Entrance to the Museum of Byzantine Culture nearby ….